American DJ Bubble Blast Jr Bubble Machine DJParts - All Variety of Parts that DJ Needs. The Bubble Blast Jr offers the latest in bubble machine technology with 4 separate fans that blow and lift bubbles high into the air all within a compact & portable design. This advanced fan system produces a massive amount of bubbles per minute. Bubble Blast Jrs design also allows for easy bubble liquid filling with a top-load filling & refilling. 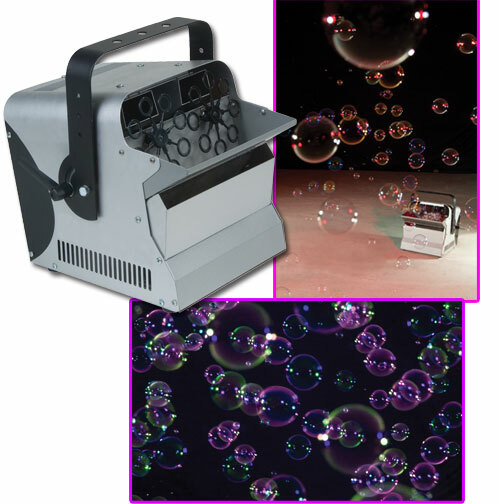 The Bubble Blast Jr is superb for stage productions, nightclubs and mobile applications.